Jang Keun Suk album "Monochrome" are ranked in the first and second place with regular and limited editions. 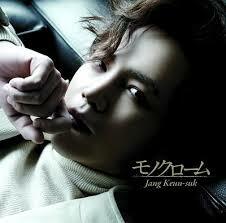 The impressive K-POP leader of the first half of the year is Jang Keun Suk’s album "Monochrome". The album celebrating the fifth Japan Debut anniversary, there are 11 songs in the regular edition, including ‘the Sky and You’, whereas the Limited Edition is comprised of 10 songs, including ‘Hidamari’ and ‘Pale as Snow”." omg , OUR ASIA PRINCE JKS IS THE BEST! congratulation!! power asia prince JKS & eels.